Just because you can’t afford to go to conferences to network with people and generate leads doesn’t mean it’s the end of the world. Did you know you can be leaving money on the table by not guest posting for backlinks? This is a perfect example of what I always preach – Do the opposite of what everyone else is doing. Today’s guest is Garrett Mehrguth as he discusses the idea behind backlinking and how this can help you in your business. 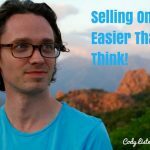 He also teaches how you can specifically utilize social media in every phase of your sales process and how you can continue the communication process to make sure each and every sale comes to a close. 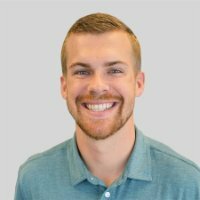 Garrett is the CEO of Directive Consulting, a digital marketing agency where they do search engine marketing, SEO, PPC, content, and social for B2B companies mostly catering to software and manufacturing industries. People tend to overvalue the wrong things but you can leave money on the table by guest posting for backlinks and not leads. Oftentimes, we forget who we’re doing it for. It’s not always that what we’re doing is wrong but it’s who we’re doing it for is wrong. Garrett’s company uses this tool Pitchbox, an influencer outreach and content promotion platform where they scrape all the websites that write on, say, demand generation. Scrape the entire website using Import.io and you get all their contacts, editors involved, and all the people who sponsored that conference and guest post for all of those people. Then get the contact info for the marketing department. Since you’ve already made connections with the editor, ask to be introduced to these specific people at the marketing department. Now you’ve turned your link building in the lead generation into PR and you’re reaching the right audience. You’re getting a backlink and you have the opportunity to turn it into a lead. So you’re giving them value because you’re giving their audience free content and in return, you just want to be introduced to someone. The more interactions you have with them, the more opportunities to build your brand and their trust, the more likely that you’re closing the deal. Social media helps you scale out these touches and interact with people. LinkedIn just launched their Matched Audiences so within LinkedIn, you can upload your whole CRM list right into LinkedIn and be talking to everyone in your sales force across social media. Then you’re able to go after people at different stages of the funnel based on your CRM and be able to scale up your touches. Since you have a list of those target accounts you’re going after, you can then warm up those accounts by uploading your list to LinkedIn and they will start showing ads and you can do sponsor in-mail. You can put $100 a day in the mail and use a Calendly link to book a time with them and set meetings through sponsored inmails. Only share things that you actually right. Only post when you actually feel like posting. Be authentic. Be you. Don’t worry about your retweets or your likes. Have a real social presence and start interacting with people. Read something you like. Share it and tag the person. Be real and don’t try hashtags like #sales #bots. That’s not how it works. Use social for what it is for. Social is still a supportive channel. There is no rejection when you favorite things and follow people on social media but it’s not going to pump the pipeline. You still need to be sending your emails and doing the calls. Really know where your audience is. Really know who they are. Ask where they’re at. If you can’t afford that conference, be creative and don’t just give up. Advertise on Twitter with their hashtag and get their brand name. Just because you can’t afford one thing doesn’t mean allowed to know where your audience is and do a better job of making a connection with them. 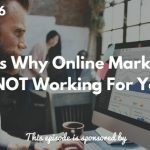 Don’t leave your money on the table by not getting posts for leads just because you were writing to the wrong audience and you weren’t leveraging the full relationship. If you’re interested in B2B case studies and you want to increase your lead volume and get more qualified leads for your sales team, visit www.DirectiveConsulting.com. Join the TSE Hustler’s League! Our new semester is coming up and we’re focusing all about closing. We will teach you how you can become buyer-centric.